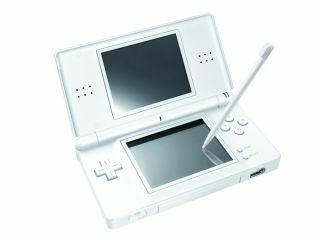 UK consumers could be at risk from counterfeit Nintendo DS handhelds, according to Her Majesty's Revenues & Customs. Apparently the cheap knock-offs are flooding into the UK, with hundreds being seized by HMRC at airports and ports after they were bought from Asian websites for as little as £40. Not content with getting something that only looks like a Nintendo, HMRC has warned that dodgy power adaptors are at risk of exploding – and probably taking your Super Paper Mario cart with it. Pamela Rogers, HMRC's head of intellectual property rights, said: "At best, these consoles would have led to disappointment on Christmas morning; at worst, they could have caused serious harm or injury. "UK consumers must be vigilant when purchasing goods online. Buy from a reputable or regulated site and, if purchasing from outside the UK or a new website, research the site - check all the facts before you buy. "Counterfeit goods also cause considerable damage to the UK economy by undermining genuine UK retailers and small businesses who are honest and abide by the rules." ELSPA is investigating the fraud on behalf of Nintendo and managing director Mike Rwalins added: "As a responsible industry, we are extremely committed to ending the damaging counterfeit games market, which not only defrauds UK taxpayers with inferior products but in some cases actually puts children's lives at risk too. "We are asking all concerned parents to be diligent - when a bargain seems too good to be true, it often is."